While year-best players are competing in London, we preview those who are to become competitive in the nearest future. Kyle Edmund takes cue from Andy Murray. It’s great when there is a leading light in front of you who makes your way brighter and also can be very helpful. We don’t believe Kyle will ever make it to the best 8, but he’s a strong player and is highly competitive on all kinds of surfaces. Maybe he performs a bit worse on grass but he should catch up. There is power in his shots and decent service play. His movements are also reliable. Next season he should get into the top 32. His main drawback is his mentality. Kyle has to be more aggressive and give it all in any match. This is what makes the difference between the champion and the runner-up. Karen Khachanov has claimed his maiden title in Chengdu. This is the best achievement of the Russian players during the past years. We’ve already discussed the Russian youngster. He’s good in movements and has no technical issues. His serve and return are also very effective. Nature has given Khachanov perfect constitution. He’s very dangerous on court, but at the same time he doesn’t lose his nerve even playing the top players. His rise to the top 50 is amazing! With such a play he can easily make it to the top 30 or even higher. Right now he has no symptoms of VIP syndrome, but no one is immune to it. We’d like to see it very much how Khachanov will deal with it. Daniil Medvedev. The twenty-year-old Russian is also worth our attention. We appreciate his approach to tennis. He has own quality that is very important in sports competition – he can play well when he needs it. It’s very important as many tennis players usually play as they can in a very specific moment. Daniil compete with his last strength at every opportunity. He got a chance to play in Moscow and St. Petersburg and he took it. The Russian jumped into top 100 this season and is likely get higher in 2017. As for his tennis style, it’s very similar to that of Alexander Zverev: great backhand, service and return. The movements are also reliable. There are issues with his forehand but he should solve it. We wish him to stay away from injuries and get into top 8. The way will probably be long, but passable. Jared Donaldson has got into our list for his good tennis at the US Series. He has no obvious shortcomings, which is very untypical for the American players, and should progress further. Yoshihito Nishioka is the nextgen Japanese with remarkable tennis. He is as fast as Nishikori but is a lefty, which will mean additional troubles for his opponents. However, he should work on his serve and overall fitness. As for the moment, he can only win several tournaments within a year. It’s not enough to book a spot in the top 100, but he evidently has potential to progress. Now two players under 20. Denis Shapovalov and Reilly Opelka. 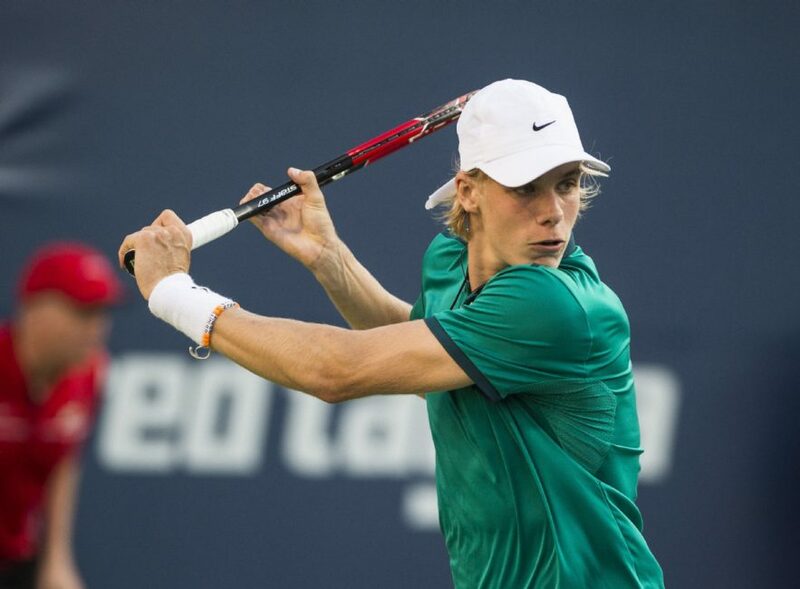 Shapovalov hasn’t reached top 100 but he’ll get there soon. He is very talented and the US Federation will help him. We appreciate his tennis style. Denis is a lefty and reminds of Richard Gasquet. There are no other players of this kind on men’s tour. Reilly Opelka is a typical product of the US tennis: big serve and powerful forehand. Another advantage is a solid backhand at the start of his career. Other Americans (Jack Sock, John Isner, Steve Johnson) had to hone it in mid of their career. So Reilly is also a very promising player. Anyone else to watch for in 2017? Welcome to our comments! And to sum the long story up - worst shots ever!